A progressive jackpot is a jackpot for an online casino game where the value of the payoff (or 'jackpot') increases by a small amount each time another game is played. Below, we've listed the casinos that currently offer the best games with progressive jackpots. Odds at receiving a very large payouts are not that high. 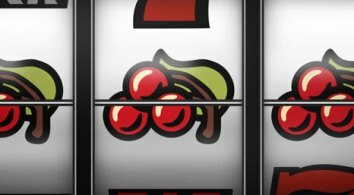 Usually, an online casino will have a specific game and have their jackpot listed as a monetary value, and this can only be won by achieving the combination with the highest payoff; whether that's 4 cherries in a row or a 'Royal Flush' at a Video Poker machine. Once the jackpot has been won, the machine resets itself to its preset and designated minimum. The difference with progressive jackpots is that each time a game is played on a connected casino game , the jackpot increases by a small amount. So, instead of individuals all playing to win a $5,000 or $10,000 dollar jackpot at single machines, each player is increasing the jackpot they’re playing for every time they click the progressive jackpot bet. The house sets the amount by which the jackpot progresses and is willing to contribute to some of the profit because progressive jackpots attract so many players. In other words, they limit some of their profit initially to make more later because of the attraction that large jackpots have to so many players. Also, progressive jackpots generally require playing the highest credit level in order to be eligible for the jackpot. Instead of the normal situation where online slot games have their jackpot listed as a monetary value, which can only be won by achieving the combination with the highest payoff, progressive jackpots keep accumulating by a small amount each time the game is played. They usually require a higher playing credit in order to be eligible for the prize jackpot, but much, much higher amounts can be won. So, with progressive jackpots, when playing slot games or some other games like video poker or bingo, you have the advantage of playing for a larger jackpot than that of normal games, and the more people that play, the greater that ultimate prize will be. 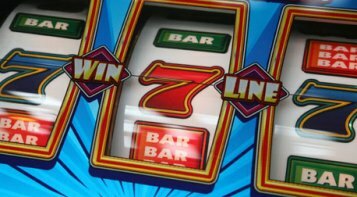 In any case, it might be worth playing a few times with progressive jackpots to see what the craze is all about and whether or not you prefer it. Even though, as we said, usually only players playing with the maximum credits qualify for the jackpot, all players contribute. So, a game that requires more credits to qualify for its jackpot will generally rise to higher levels faster than one that requires less. Consider the following example: If one game requires 10 credits in order to be eligible for the jackpot while another only requires 5, more people may play the 5-credit game. Thinking that 10 credits are too much to play with, they’ll choose the 5-credit game. If they usually only play with 3 credits, they may figure that an additional 2 is no big deal and indeed worth it when considering the possibility of winning the large jackpot. However, because there is such a large difference between 3 and 10 credits, players are more likely to continue only playing with 3 at a 10-credit machine and thus, they’re continually adding to the jackpot without ever achieving the possibility of winning it. In March of 2003, a young man entered the Excalibur Hotel and Casino on the Las Vegas Strip. He put $3 into a Megabucks slot machine and gave it a spin. Less than a minute later, he won $38.7 million, a record at that time for the largest slot machine jackpot ever paid out. Did he have a unique system for playing the slots? Was he a master of slot machine strategies? Did he have some special inside knowledge as to when that slot machine would give up its precious jackpot? While we may not know the precise answers to these questions, most educated players would answer “no” to all of these. However, that should not imply that there are not certain steps that slot players can take to help their own chances of making millions at the press of a button or the pull of a lever. Another famous slot machine tale tells of a young man from England who played progressive jackpots in Las Vegas. The results of his spin showed that he had won the jackpot. Unfortunately, he only inserted his last $2 into the machine, thus making him ineligible to win the multi-million dollar jackpot. Although he did take home around ten thousand dollars, his lack of one more dollar cost him a chance at millions! So the tip is to bet higher amounts if you want a chance at winning. The downside to this approach is that it can rapidly consume a bankroll. With some of the newer video slots, you may have to wager up to seventy-five times the minimum bet in order to be eligible to win the big money. If you really want to go for a jackpot, be sure that you have enough to cover playing the maximum number of coins every time. If you don’t have enough of a bankroll to cover your play at a $5 machine, try a $1 or 25c machine. The jackpot may not be as high, but you’ll give yourself multiple chances to win! One of the issues with progressive slots is that they don’t make smaller payouts as frequently as “regular” slots. Since a fraction of each bet goes into the progressive pool, which leaves a smaller portion of the pool that goes into the smaller winnings. For players more accustomed to the stand-alone slots, this lack of frequent reinforcement can be frustrating and disappointing. Another item of interest with progressive slot machines is that the jackpot is not contested at only one slot game. Progressive jackpots can be spread over multiple slot games, numerous casinos, even over several states. Hundreds, even thousands, of players from one end of the country to the other can be contributing to the pool and looking to hit it big, all at the same time. First of all, and the most obvious advantage, playing progressive jackpots provides an opportunity to win MUCH larger sums of money if one hits the right combination. Although the player has to play with a larger amount of credits than on normal machines, the more people that choose this route, the greater the winnings will eventually be, and basically, you’ll be getting a larger ‘bang’ for your buck. Also, different online casinos have different payout processes and different minimum credit contributions. So, as always, it’s worth checking out several different sites to see what each has to offer, what amount the jackpot is at, and what credit amount best suits you. A progressive jackpot is when small sums of money that players place on this bet accumulate over time to build up one big payout. Typically, a progressive jackpot involves many players, and sometimes even multiple games linked together within the same software provider. As players keep placing bets, they hope that they will eventually win the payout of the accumulated cash. People win progressive jackpots often, but seeing as there are quite a number of people playing for a progressive jackpot win your chances of actually hitting that jackpot are quite low. Regardless, if you want to add some spice to your game they are fun to play every so often. When you win a progressive jackpot the amount you won will be displayed on your screen. Depending on the online casino you are playing at, your username and the amount you won will be displayed to other players. The online casino will either pay you a lump sum or pay in increments, depending on how much you won. You will either be paid to your online casino account, or directly to your personal banking account depending on whether the amount won is a few hundred or tens of thousands. If paid to your account, then choose a payment option to withdraw the funds. Progressive jackpot games work by taking bets by players over a set period of games. This can occur over multiple rounds of one game alone, or by linking different games to a progressive jackpot. The online casino will determine how many rounds are needed. Additionally, a player will need to win some specific outcome in order to win the payout. Playing progressive jackpots vs. regular games is ultimately a matter of preference. Odds are fairly similar and while there are some methods for improving one’s advantage at progressive slots (such as ‘team’ play - which many casinos prohibit), most of these are either extremely shady (= illegal) and/or simply nothing more than theories. In the end, it remains a game of chance - that’s why they call it gambling. As always, keep your bankroll in mind when enjoying your favorite online casino games, whether you prefer playing live or online. Play smart, play safe, have fun, and remember us at GamblingPlanet.eu when you hit it big.